I don’t know quite what was going on in Justin Kurzel’s head, but it wasn’t anything good. How do you turn Macbeth, the most visceral and succinct of Shakespeare’s tragedies, into something so dull, fractured and disengaged? He leaves the play hollow, disembowelled, inducing us to contemplate an edit suite’s worth of tinted colour washes, random isolated “artistic” shots and disconnected actors staring into space. Perhaps we have reached the point where any slightly different take on the Bard gets an automatic free pass, or a commendation even, but this one certainly shouldn’t. Kurzel appears so set on creating a visual and aural ambiance, he completely loses any sense of plot, which is quite something as, of all Shakespeare’s plays, it’s probably the most difficult to get lost within. There’s an active effort to undermine the drama and dialogue at every turn, with scenes rendered inert by the performers’ lack of engagement. His leads perversely bury their dialogue, forcing forth subdued delivery from somewhere amidst a glen in Scotland (Kurzel probably thought it was a really good idea having most of this take place outdoors, but the effect is too close to parody; you keep expecting “The Comic Strip Presents” to flash up at any moment). There’s zero sense of the coiled relationship between Macbeth (Michael Fassbender) and Lady Macbeth (Marian Cotillard), despite throwing in an extra-textual lost bibby at the outset. Their motivation in murder is purely because that’s what it says in the play, rather than through investment in the characters, and the antic dispositions subsequently afflicting them find Fassbender practically Python-ing it up with “m-m-m-mad” looks when he starts seeing spooks everywhere. This Macbeth comes across an exercise in tonal difference, rather than the result of a desire to deliver a distinct vision of the play. It’s akin to an overly self-conscious student art project, just with striking cinematography; all distracted shots of the Fass soliloquising, intercut with rearing horses. Kurzel’s approach makes for a curiously, and bizarrely, passive interpretation. And clumsily literal at times too. Birnam Wood may not come to Dunsinane, for some unknown reason, but when Lady M instructs her hubby to screw his courage to the sticking post, they actually screw. It’s as if Beavis and Butthead were in on the script conference (“She said screw, heh-heh”). It wouldn’t surprise me, as somehow it took three writers to adapt the play. The first half hour is incredibly ponderous, despite – or because – of Kurzel making great play at the warfare (this isn’t just limited to the nonsense of stage theatrics, you know). He only really gets a grip whenever Sean Harris enter scene left as Macduff. Harris is an inspired piece of casting, making a character who tends to be rather linear and earnest instantly wired and dangerous, long before he’s lost his precious little ones (the only Sean Harris there is wired and dangerous; you could cast him as the romantic lead in a Richard Curtis comedy and he’d still freak you out). He steals the show; it should have been called Macduff. Harris has a relatively easy job, mind, as so little else is of consequence. The climactic battle is entirely without drama, since we never worked up any interest in the fates of Mr and Mrs Mac B to begin with; there’s no rise and fall, no escalation or tension. A solid cast has been assembled (Paddy Considine, David Thewlis, Elizabeth Debicki) but they’re immobile, taken down by the overly fussy editing, distracted stylistic flourishes and a Jed Kurzel score which, although good, serves merely to underline his brother’s disinterest in providing an immersive experience. Unless one equates superficial with engrossing. There are a good few film adaptations of the Scottish Play out there, and pretty much any of them would be a better bet to investigate than this one. 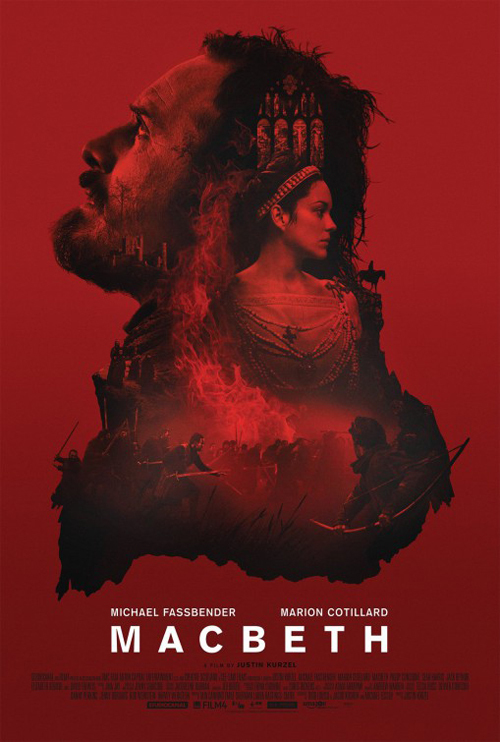 Still, we can but hope Kurzel’s Macbeth paves the way for further tone-deaf adaptations: perhaps Michael Bay’s A Midsummer Night’s Dream, or McG’s The Tempest. As for what this says abut Kurzel’s forthcoming Assassin’s Creed, I wouldn’t hold your breath for the bright new dawn of computer game properties smartly translated to the big screen.